INDIANAPOLIS -- Police are asking for the public's help to locate two men wanted in connection with the murder of a 58-year-old man last month. Police were called to the 440 block of N. Sherman Drive on April 30 for a report of a person down. Reginald Hamilton was found unresponsive at the scene and transported to the hospital in critical condition. He later died from his injuries. Detectives are searching for two men for questioning in reference to the shooting. 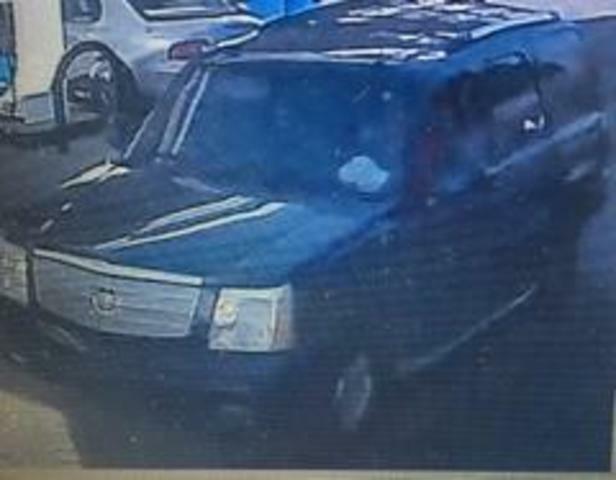 The two men fled from the Marathon gas station after the shooting in an early 2000's model black Cadilac Escalade, according to police. A third man is wanted for questioning in the shooting but is not considered a suspect. If you know who any of these men are or where police can find them contact the IMPD Homicide Office at 317-327-3475 or Crime Stoppers of Central Indiana at 317-262-8477.